Out of the 340 submitted photographs by some 39 participating shutterbugs, 208 photographs which are carefully selected by the curatorial team will be displayed starting Friday and will run until September 9, 2011 in time with the opening of this year’s Durian Festival, shared Mr. Nestor Horfilla, the project coordinator who also leads the curatorial team. The photographs are grouped according to different genres such as public service, economic productivity, landmarks, social services and cross-cutting themes, respectively. 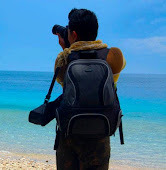 On Friday, the city government will roll the red carpet in recognizing the best photographs with cash prizes ranging from 1,500 pesos to 8,000 pesos respectively plus 22 consolation prizes in form of gift cheques from sponsoring companies. 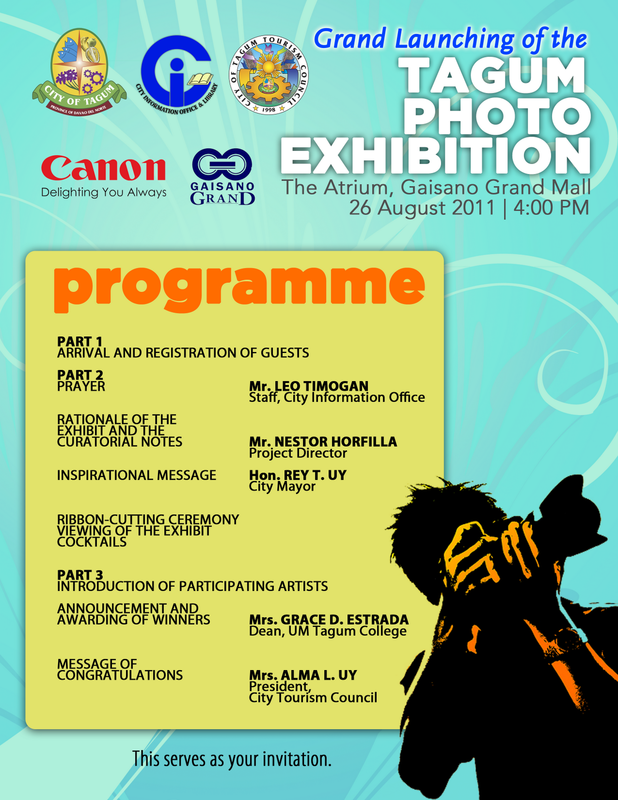 Winners of the photo contest initiated last summer went through a rigorous screening and judging process last August 22, 2011 with jury members coming from the ranks of the government, academe, private sector, professional photography, camera company, the media and even a Japanese national/photography enthusiast. This is an offshoot of the Coffee Table Book Project to be published early next year. Mr. Lasquite added that the said exhibition will also be rotated in the different barangays of Tagum as well as in academic institutions for the students and the people in rural areas in Tagum to see it themselves. 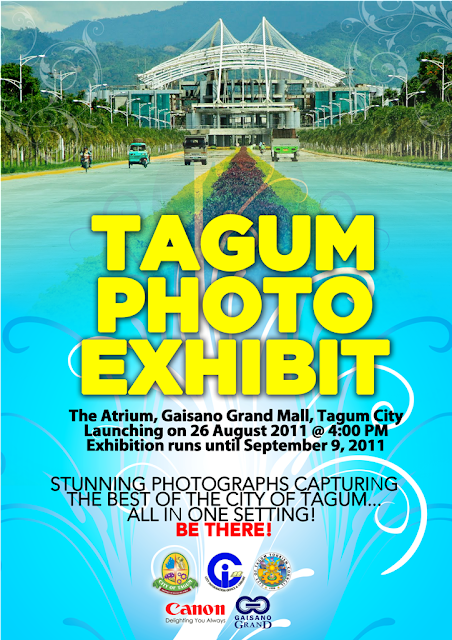 This photo exhibition is jointly undertaken by the City Government of Tagum through the City Information Office and the City Tourism Office of Tagum.